Disturbing footage has emerged of a young woman reportedly ‘possessed’ by a demonic spirit after playing with a Ouija board. Alexandra Huerta, 22, her brother Sergio, 23, and cousin Fernando Cuevas, 18, were all taken to hospital just minutes into the game at a home in San Juan Tlacotenco, Mexico. 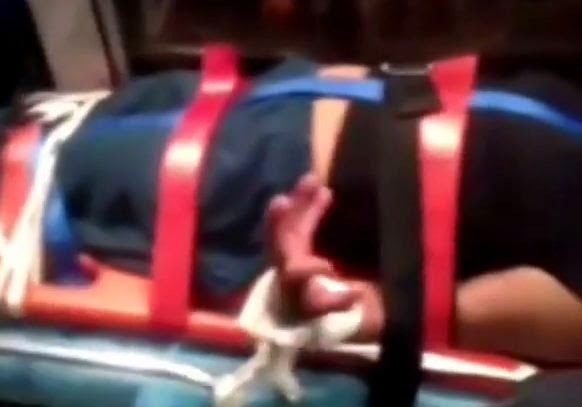 The video shows restrained Alexandra in an ambulance growling, thrashing around and chuckling uncontrollably. Others complained of muscle spasms, hallucinations and having difficulty swallowing. Medical experts refused to comment on whether the trio really were possessed, or had just convinced themselves that they were. 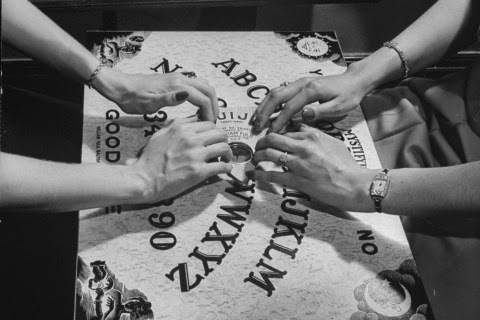 A Ouija board is marked with the letters of the alphabet, the numbers zero to nine, the words ‘yes’, ‘no’, ‘hello’ and ‘goodbye’ and various symbols and graphics. The purpose is to ask spirits to spell out relevant words and numbers in a bid to communicate with the dead.